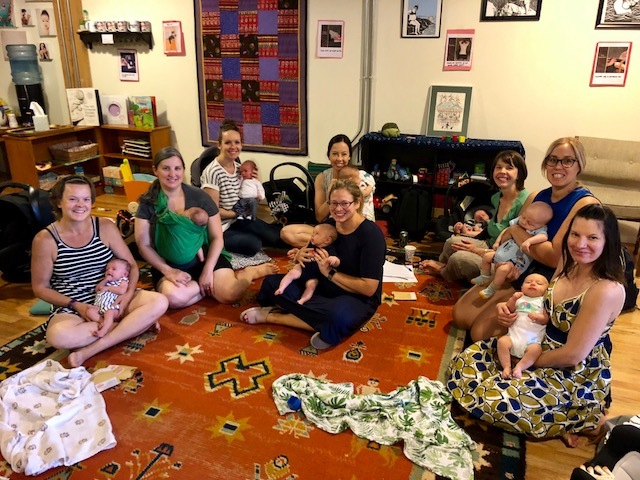 The group will meet on Fridays, with new sessions starting approximately every 5 weeks and meets at Picnic: A Gathering Spot for Families- 3711 N Ravenswood Ave, Suite 105, Chicago, IL, 60613. Fee is $150. To be able to have weekly support from a breastfeeding expert, as well as from your peers, is invaluable! AND as a special bonus, we have lots of breastfeeding-related goodies to give you too! Space is limited; book your spot today. Expecting mothers should absolutely register if they expect to give birth by the session start date. Congratulations! You've gotten through those initial hurdles and have successfully breastfed your baby for a few months...now what? Having continued access to expert support enables mothers to meet their long-term goals. This weekly group is for breastfeeding mothers of babies ages 4 - 7 months (approximate). Each week Jaudon will address your breastfeeding challenges and provide guidance. You will be able to do pre- and post-feeding weights to assess milk intake and track your baby's growth. Jaudon will also have a loose topic for the group to discuss each week. In addition, other topics relevant to the group will be discussed as they arise. You will also be able to form relationships with other breastfeeding mothers and bond over your shared experiences. To be able to have weekly support from a breastfeeding expert, as well as from your peers, is invaluable. AND as a special bonus, we have lots of breastfeeding-related goodies to give you too! Space is limited; book your spot today. You do not need to have been enrolled in Group I to participate in Group II.